Summer is finally here and there is nothing better than going on a vacation. Whether you are going to visit family or going to the beach, it is meant to be stress and hassle-free. 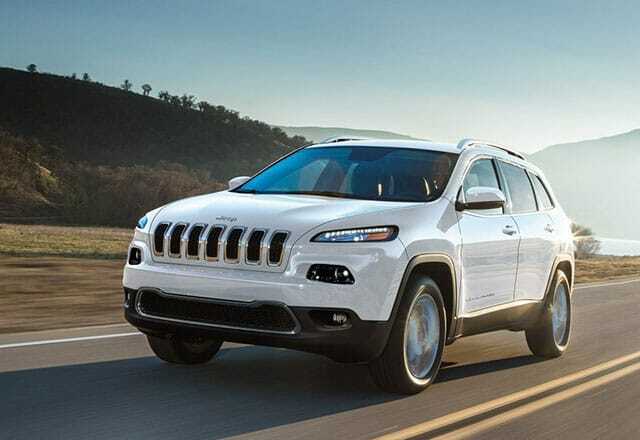 For families that are in need of a fun, roomy car for road trips that can keep people entertained and comfortable, DriveHubler Certified Pre-Owned has compiled a list of the top features to look for in a car to make any vacation a breeze. Take a look at these recommendations for families looking for something beyond the ordinary. Why worry about the mess when you can have a car that has a built-in vacuum like the Honda Odyssey? Nothing can calm down a fussy child in a hot car better than a cold drink. 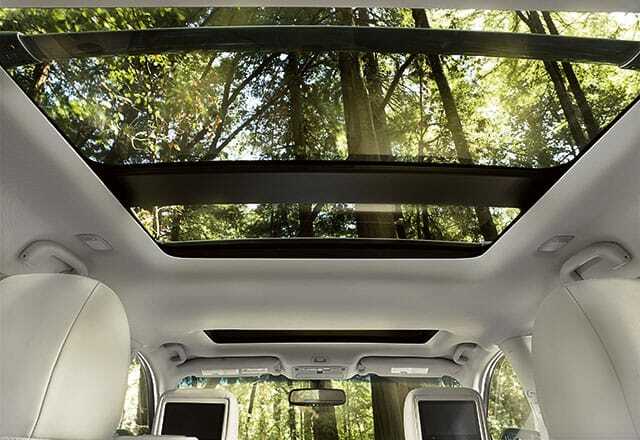 Because of this, vehicles like the Ford Flex Limited, Honda Odyssey, Lincoln MKT and the Mercedes-Benz S-Class offer standard or optional built-in refrigerators/coolers. 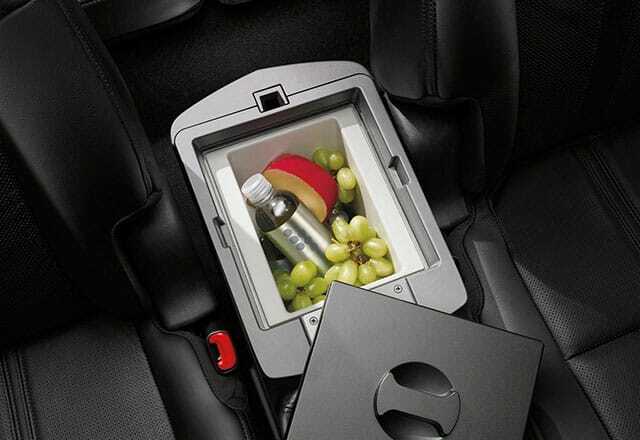 Built-in refrigerator on the Ford Flex Limited, Honda Odyssey, Lincoln MKT or the Mercedes-Benz S-Class. 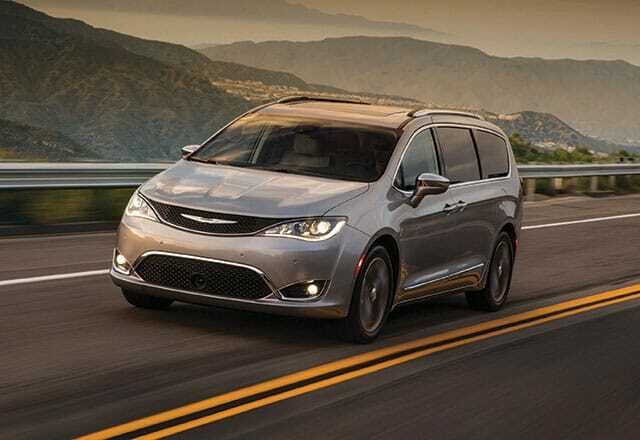 Only found on the Chrysler Pacifica, this app displays the distance remaining to the destination and estimated arrival times. This vehicle also offers other built-in games such as License Plate Game, Checkers and Tic Tac Toe. 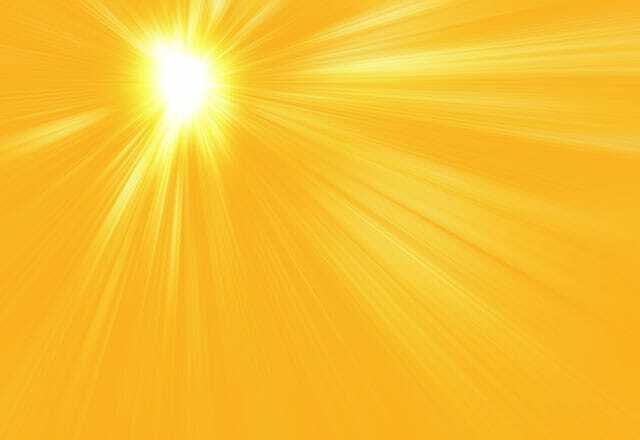 Do you know what is more annoying than sunshine ruining a child's nap? Nothing. Rear door sunshades offer defense against strong sunlight as well as prying eyes. They can be found in vehicles such as the Hyundai Sonata, Honda Pilot, Nissan Quest, Toyota Sienna and Chrysler 300. Nowadays, most cars come with radio-controlled key fobs that open trunks or hatchbacks, but even that can be tough if you've got suitcase upon suitcase to pack. 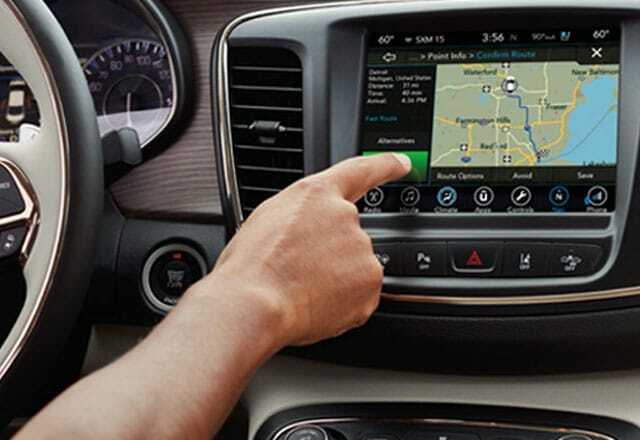 Look for this feature on vehicles such as the Ford Escape and BMW 3-Series Gran Turismo. So whether you are jetting out of town for a quick weekend trip or are driving to a family-reunion, DriveHubler Certified Pre-owned is here to help you find the vehicle that best suits you and your family's needs. 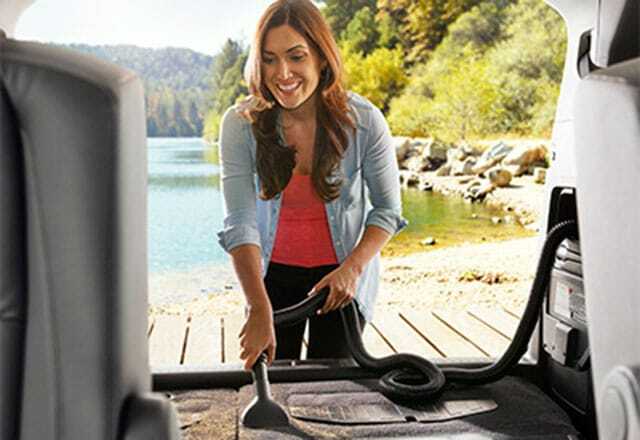 From built-in vacuums to foot-activated hatchbacks, start your vacation off on a positive note and make sure your vehicle is equipped with the features you need to make everyone happy. Join us today at 880 US-31 South Greenwood, IN 46143 and find that used car you have always had your eye on. We look forward to serving our customers from Greenwood, IN, and Indianapolis, Columbus and Franklin. Do you have a family that loves to take road trips? They can be great bonding experiences that create lifelong memories, but there is nothing worse than feeling cramped and uncomfortable on a long drive. While all of us at DriveHubler Certified Pre-owned understand that no one runs out to buy a vehicle simply because of an upcoming road trip, we do know that there are certain vehicles that are best for long drives. If you are considering a new vehicle, and your vacations frequently take you, your spouse and your kids to the open road rather than skies, road-trip-worthiness should be a big factor into your buying decision. Below we have created a list of some of the top vehicles for long drives. With high safety ratings and an impressive interior, the Pacifica has strong acceleration and plenty of storage space thanks to the company's Stow 'n Go seating system which stores the second row seats in the floor when they are not needed. The rear seat entertainment system also offers exceptional amusement thanks to the twin touch screens that can play DVDs, Blu-ray discs and even video games from HDMI-connected devices. 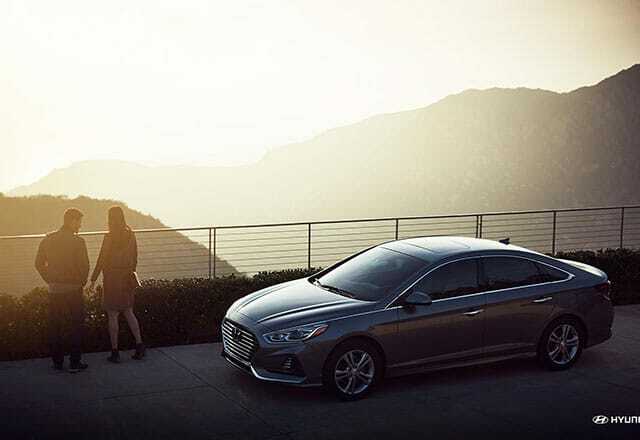 With a impressive list of standard features, copious trunk space, generous second row legroom and great fuel economy, the Hyundai Sonata makes a great road trip car. Additionally, it provides a quiet and connected ride. Whether your journey takes you down the highway or off-road, the Jeep Grand Cherokee has the capability to tackle whatever comes it way. It has an impressive engine with the capability to haul your jet skis without suffering much performance. Additionally, the vehicle provides a smooth ride and its cabin is well insulated from the sounds on the road. With a roomy and well-finished interior, the Honda Accord offers a comfortable and supportive ride for all passengers. 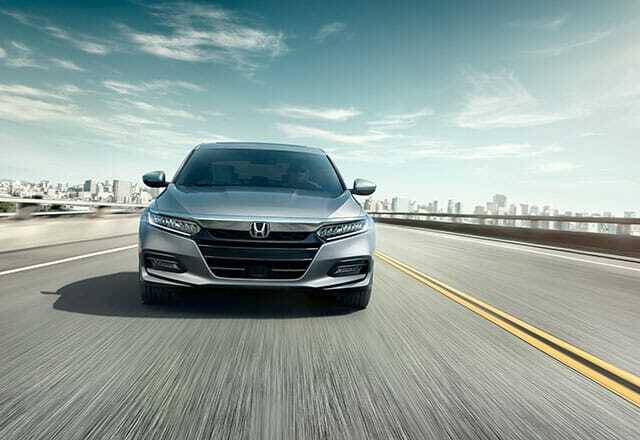 The vehicle also offers Honda Sensing advanced safety equipment such as forward collision warning and automatic emergency braking to make sure that you and your family is safe wherever your journey may take you. 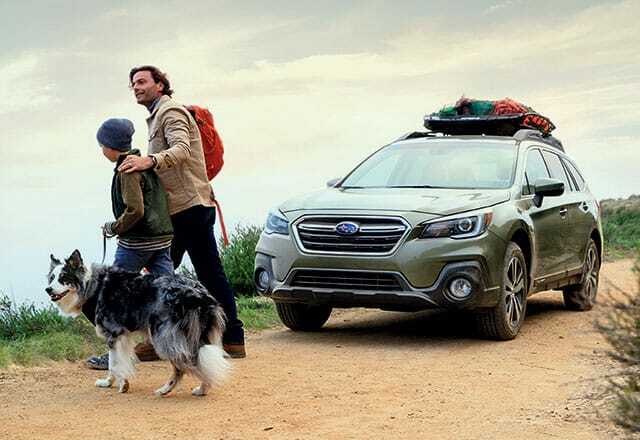 From standard all-wheel drive to the available EyeSight Safety suite, the Subaru Outback is roomy, functional and appeals to the masses. It offers good visibility and blind-spot warning so you have an extra set of eyes on the road. Additionally, the vehicle has bountiful cargo so you can pack everything you may need. When it comes to hitting the open road for your next trip, there's plenty to consider. Of course, the destination comes first and foremost, but what about the other important details? Perhaps you're interested in getting every mile possible out of each gallon of fuel you put into your vehicle. Or you may be the type of person who wants to bring everything you can think of without having to consolidate at all. Regardless of what you think is most important for your upcoming trip, DriveHubler Certified Pre-Owned has compiled a list of the top features to look for in a car to make any vacation a breeze. Probably one of the most relatable concerns when it comes to driving short and long distances, fuel economy directly impacts the amount of money it costs for you to travel. Fortunately, there are quite a few vehicles on the market that sip gas rather than chugging it. 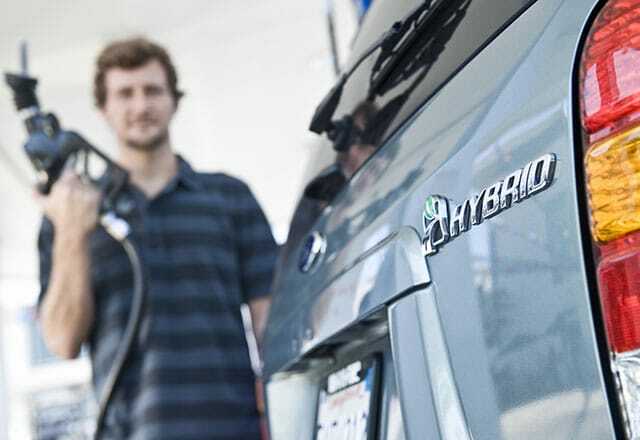 These include hybrids like the popular Toyota Prius lineup, as well as the Ford Fusion Hybrid, Mazda3 models featuring SkyActive technology and many Volkswagen TDI variants. Why sacrifice comfort when you could bring all of your toys on vacation? 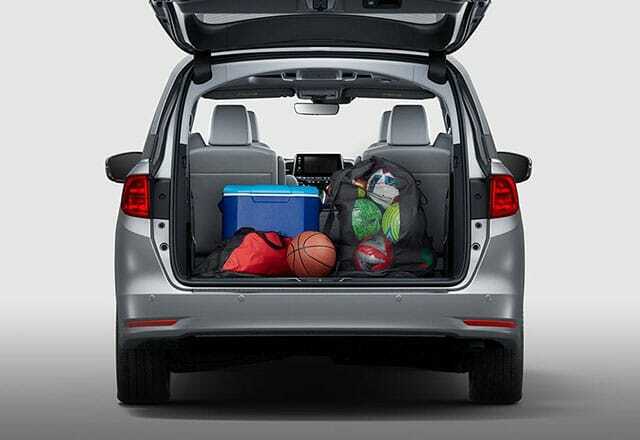 For good reason, cargo space is another popular concern when hitting the road for a short or long trip. There's plenty to remember, including clothing, gear for hiking or the beach, family pets, items to keep younger passengers occupied and more. 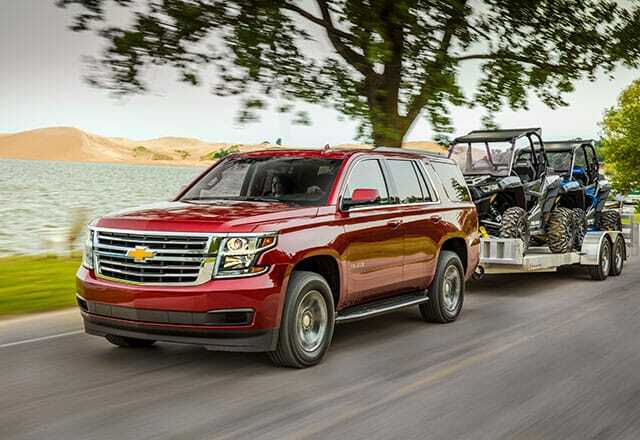 If you're looking for a powerful performer that won't leave you sacrificing, set your sights on a burly SUV like the GMC Yukon, Chevrolet Suburban or Acura MDX. Each other these offers a wealth of cargo space, paired with the sophistication you need to enjoy your commutes. When it comes time to exploring the wilderness, it's possible that you may want to bring your home away from home with you. For that and other heavy duty tasks, it's important to select a vehicle that won't call it quits before you reach your final destination. Strong contenders in this category notable include SUVs and pickups like the GMC Sierra 1500, Ford Super Duty, Chevrolet Tahoe, Nissan Armada and more. From highway dance parties to thrilling audio dramas and movies on the go, entertainment maintains an important spot when it comes to traveling near or far. Whether you're interested in a top-of-the-line audio system with premium speakers or would prefer to keep the little ones mesmerized with an on-board DVD entertainment system, there are plenty of options to consider. Key contenders here include the new Chevrolet Corvette, as well as the upgraded GMC Yukon, the Ram 2500 Laramie, the Mercedes-Benz GLE 350 and much more. Wherever your vacation may take you, make sure that you are behind the wheel of a vehicle that meets your needs, whether they include MPG or sheer towing capacity. DriveHubler Certified Pre-owned is here to make this dream a reality and help you find a used vehicle that fits you and your family's needs. Join us today at 880 US-31 South Greenwood, IN 46143 and find that used car you have always had your eye on. We look forward to serving our customers from Greenwood, IN, and Indianapolis, Columbus and Franklin. If you are going away on a road-trip this summer, hundreds or thousands of miles on the road with children, friends, and family might test everyone's patience. While there isn't much you can do about siblings teasing each other and excessive bathroom breaks, there is something you can do about the amount of times you stop to fill up your gas tank. Before heading out on the road, consider upgrading your old gas-guzzling family vehicle to a new one. To help out, we have provided a list of some of the best fuel efficient vehicles that we have to offer. 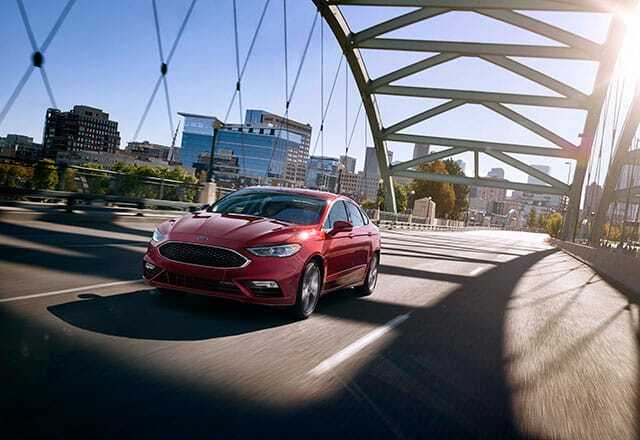 The impressive Ford Fusion Hybrid not only comes with great fuel-economy, but it also offers a comfortable, well-made interior with a large back seat and a big trunk. Additionally, it offers a plethora of standard equipment, including side-curtain airbags, a backup camera, anti-lock brakes, automatic headlights, alloy wheels and a USB port for music. Designed to fit five people, the Chevrolet Volt has the ability to cover a lot of ground between fill-ups. 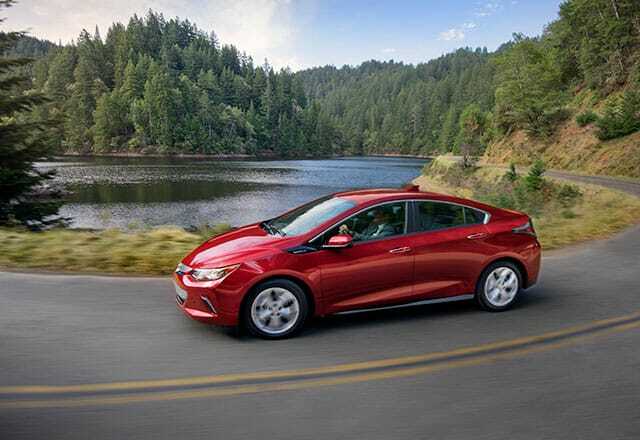 The Volt has light, quick and crisp handling and also come available with Apple CarPlay which will help keep everyone entertained for the trip ahead. This mid-level Hyundai offers more head and legroom than many of its competitors as well as exquisite comfort for passengers in the front and in the rear. 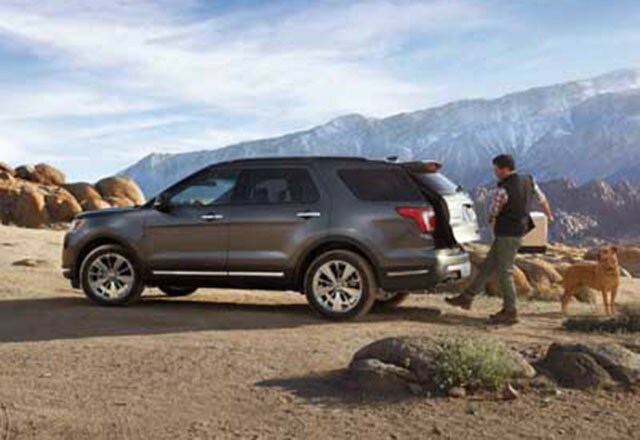 Additionally, there is ample cargo space so that the vehicle fits everything from luggage to camping equipment. 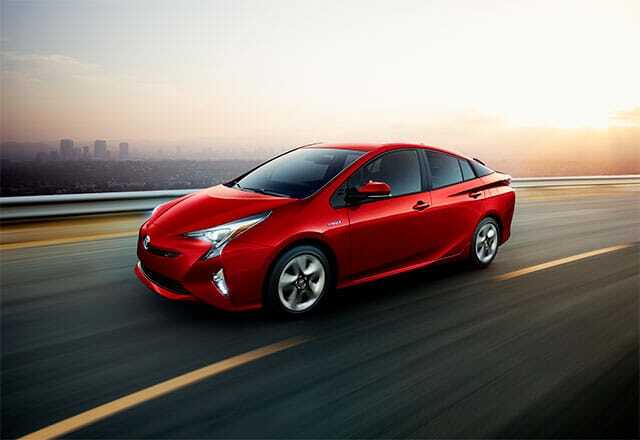 With unbeatable fuel economy, the Prius is a perfect vehicle for road trips. There is enough passenger space and road comfort for everyone to be happy as well as copious amounts of cargo space so that you can bring along all of your toys and luggage that you may need. Whether you are visiting distant family or are heading to your favorite beachside destination, do it in a car that is efficient and spacious. DriveHubler Certified Pre-owned is here to help you find the perfect car for your needs and wants. Join us today at 880 US-31 South Greenwood, IN 46143 and find that used car you have always had your eye on. We look forward to serving our customers from Greenwood, IN, and Indianapolis, Columbus and Franklin.